This past May, leaders of health from across the globe met in Geneva, Switzerland to participate in the 70th World Health Assembly. 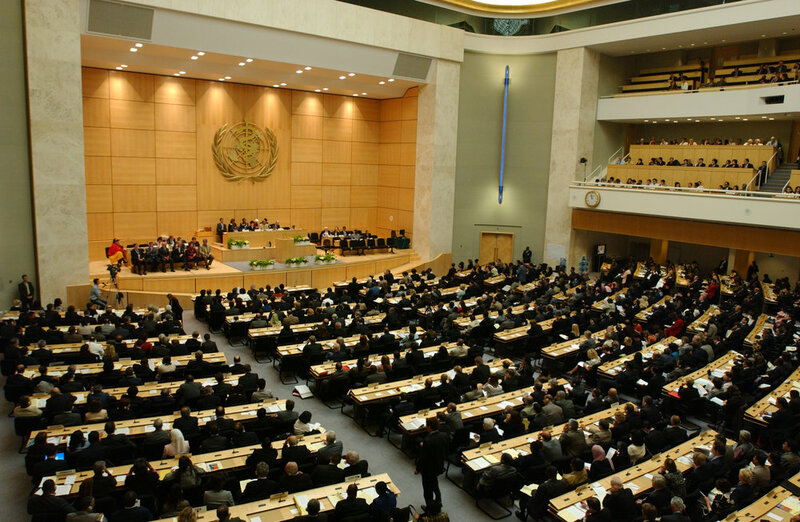 Serving as the highest level decision-making body in health policy, the World Health Assembly assembles health ambassadors from 194 member states to oversee how the World Health Organization (WHO) is governed. The nine-day period from May 22-31, 2017, was a prolific time for the World Health Assembly as several global health and health policy resolutions were adopted, a new budget for the World Health Organization was approved, and a new WHO Director-General was elected. The 70th World Health Assembly was held in Geneva, Switzerland. Source: Tehran Times. 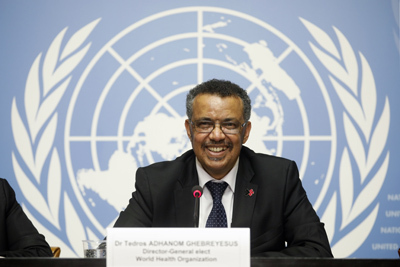 WHO membership fees rose by 3 percent this year, in order to fund the increasing number of upcoming global health programs, initiatives, and campaigns. Several existing global health programs will be strengthened by receiving funds obtained from increased WHO membership fees, namely: the Global Polio Eradication Initiative and the Global Vaccine Action Plan. Interdepartmental collaboration was a significant theme for this year’s World Health Assembly, in that the WHO realized that working jointly with other UN governing bodies is essential for success in an ever-changing society. Thus, a 5-year action plan was developed to address the global health and social workforce shortage among the WHO, International Labor Organization, and the Organization for Economic Cooperation and Development.5 This workgroup emerged through linked interests: in certain countries, the developing infrastructure concedes a relationship between public health epidemics and workforce shortage, while in developed nations it does not. Thus, these three organizations resolved to address this issue by educating children in schools that the health workforce is a viable career option, by altering the nature of the sector by partnering with diverse organizations and stakeholders, and by demonstrating that the private sector can be involved with government organizations in the public sector. On May 23rd 2017, the Member States of WHO elected Dr. Ghebreyesus as the Director-General of WHO. Source: L. Cipriani, World Health Organization. As evident by its actions, the 70th World Health Assembly was productive in its commitment to resolving global health crises, and demonstrated that the WHO will continue to fervently pursue global health reform in the upcoming year. With a revised budget, new leadership, and promising initiatives, the World Health Organization is equipped with the necessary tools to improve health outcomes around the world. United Nations World Health Organization. (2017). Polio transition planning brief. Seventieth World Health Assembly. Epstein, D., Linn, L., & Oliel, S. (2017). The 70th World Health Assembly closes. Pan American Health Organization. Retrieved from http://www.paho.org/hq/index.php?option=com_content&view=article&id=13386%3A2017-05-31-12-45-53&catid=1443%3Aweb-bulletins&Itemid=135&lang=en. Bridges Africa. (2017). World Health Assembly closes with focus on means to achieve health-related SDGs. International Centre for Trade and Sustainable Development. Retrieved from https://www.ictsd.org/bridges-news/bridges-africa/news/world-health-assembly-concludes-with-focus-on-means-to-achieve. Ravelo, J. (2017). 8 Takeaways from the 70th World Health Assembly. Devex: Do Good. Do it well. Retrieved from https://www.devex.com/news/8-takeaways-from-the-70th-world-health-assembly-90362. Price, T. (2017). Secretary Price delivers address at 70th World Health Assembly. US Department of Health and Human Services. Retrieved from https://www.hhs.gov/about/news/2017/05/22/secretary-price-delivers-address-at-70th-world-health-assembly.html. Busby, J., Grépin, K., & Youde, J. (2017). The World Health Organization just picked a new leader. These are the challenges he faces. The Washington Post. Retrieved from https://www.washingtonpost.com/news/monkey-cage/wp/2017/06/15/the-new-who-director-general-faces-more-than-global-health-challenges/?utm_term=.90376560769d.